Essence, Not Size, Determines Significance. During a recent visit to Yosemite National Park I learned that significance does not depend on magnitude or size. The main attractions in Yosemite are arrayed along a twelve-mile loop through the Yosemite Valley. Half Dome, El Capitan, and Yosemite Falls are without dispute, awe-inspiring. But to me, the most striking feature in the valley is not the soaring grandeur of the rock edifices, but rather a small, insignificant spring at the end of the 12-mile loop. It is so insignificant that it does not have a parking area, but only a small turnout from the road. 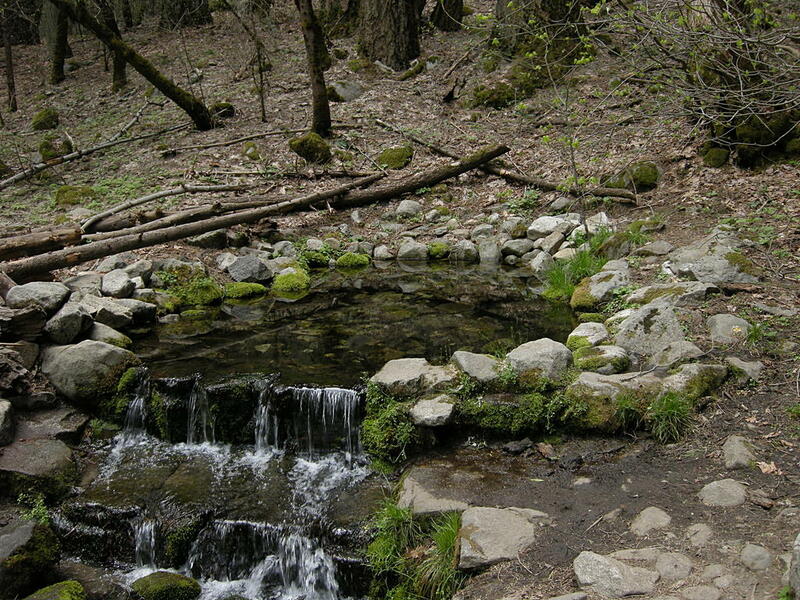 “Native Americans consider Fern Spring a site of spiritual significance and call it ‘the source of life’.”I pause. I read the sign again. I wonder how long does it take the water to get from valley rim to this spring. I wonder at the powerful appellation of “source of life” appended by those more in touch with the earth and its mysteries than I. I think, what can this teach me? As I ponder, car after car passes the turn out and never stops to see the source of life evidently satisfied to have seen the souring edifices and having no need to pause for a turnout. The spring’s waters only drip from the spring for California’s late July drought is cutting the flow to a trickle; but later I find pictures of Fern Spring showing a vibrant spring cascading cold, filtered water that makes its way to the Merced River. I stay at Fern Spring for almost half an hour transfixed by its significance to the Native Americans; pondering the irony of those who ignore the spring, without even taking time to learn what it was or signified, nor considering why native Americans attach such great significance to it. It then dawns on me that significance does not depend on magnitude or size. I think about Fern Spring both in a metaphysical sense and as a metaphor for experiences I have had in the courtroom. Many times a seemingly insignificant fact or exhibit or statement by a witness or attorney seems to mean everything to a jury and turns a whole case. Several years ago, during a period when I cut back my practice for a year and half to run for congress (now I view it more as a doomed charge up a steep hill), I tried a last-minute trial in federal court. It involved a suit by a trailer seller against the trailer manufacturer. The case was in such disarray when I substituted in that the judge threw out the pretrial order and directed counsel to, “just start the trial.” I had a binder full of exhibits, a witness list and a big firm opponent to deal with. Both sides presented their witnesses and rested. The judge scheduled closing argument to occur seven days later. I explain to the judge how the numbers in Exhibit 28 are the real figures for the case, how they summarize all the transactions, and why they show that my client is entitled to damages despite the judge’s review of other documents. The following week, the court issues a decision awarding my client the damages my client seeks. The insignificant exhibit won the day. The time I paused at Fern Spring reinforces for me that significance does not depend on magnitude or size. Those who ignore Fern Spring miss a great opportunity to ponder significance from essence. Attorneys who believe they must compress all witnesses’ stories into what the attorney believes the story is, will never recognize Exhibit 28 for what it is, nor understand the essence of Fern Spring. It is only when we take time to learn the essence that significance, even in the smallest context, emerges.